When the nice people at Puro Coffee got in touch and asked if I would like to sample some of their Fairtrade Coffee I said yes quicker than Gregg Wallace says 'Yes...you're through' to the first Master Chef contestant that presents him with a pudding. Afterall, this blogger wakes up in the morning with a spring in her step at the thought of her morning coffee. 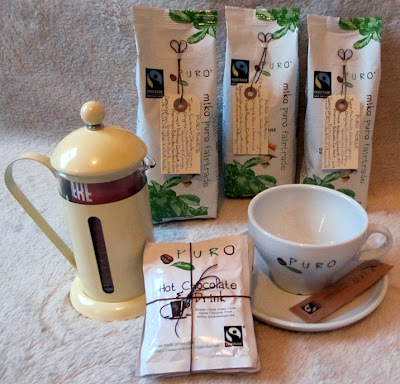 If you enjoy the coffee at the likes of the National Trust cafes, Le Pain Quotidien or Leon, you'll already be enjoying Puro Fairtrade Organic Coffee. And, as well as enjoying the flavoursome coffee, each cup contributes towards buying and protecting areas of rainforest vital for biodiversity in coffee producing countries through a partnership Puro have with The World Land Trust. This video explores the Puro story from the company's origins to the vital role of Fairtrade to the ongoing work with The World Land Trust. There's nothing quite like a coffee cake for that mid-morning pick-me-up. 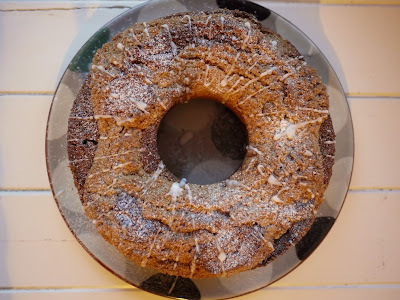 And this coffee cake, inspired by Puro Fairtrade coffee, has all the best bits of a coffee cake but with the added bonus of a cinnamon streusel-crumble style topping. 2. 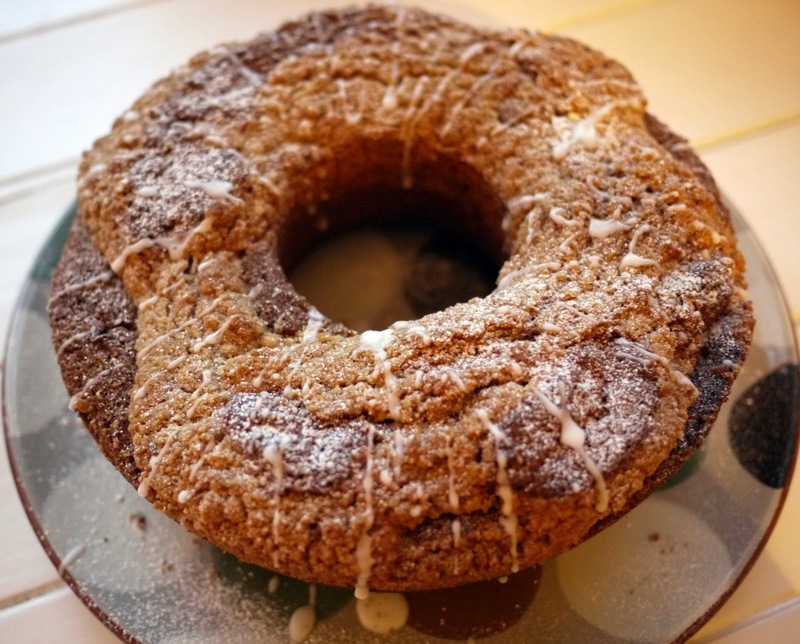 To make the streusel topping: mix the flour, sugar and cinnamon together a large bowl. Rub in the butter until the mixture resembles small gravel-sized pieces. Stir in the pecan nuts. Set aside. 4. In a second bowl, beat together the butter and sugar for 5-7 minutes until light and fluffy. Gradually add the eggs, beating until combined. Stir in the coffee. Alternatively add in spoonfuls of the flour mixture and the sour cream until all added in. 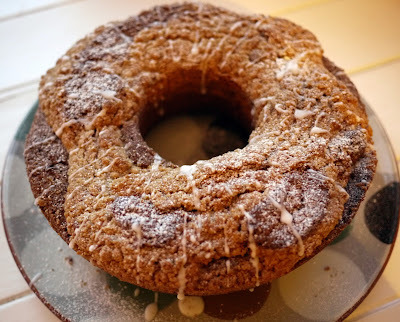 As an alternative to the streusel topping, bake the cake and once cooled spread over some coffee flavoured buttercream icing: beat 200g icing sugar with 100g butter until fluffy and light. Add 50ml Puro FairTrade coffee and mix to combine. always love a bundt cake and a coffee pecan streusel is a glorious thing isn't it? ... I also got sent some of this lovely coffee but haven't found time or the recipe to bake with it yet... but I am so looking forward to trying!! Mmm... coffee. Coffee in my cup and coffee in my cake. What an awesome way to stay awake all morning. Thanks for sharing this lovely recipe. 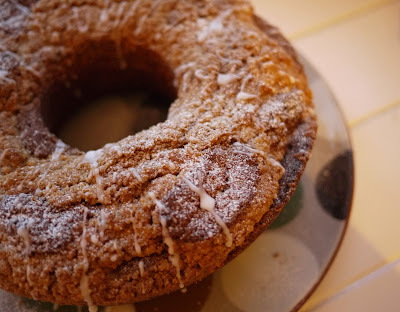 Oh that's an inviting cake - I love that streusel topping. Pass me a cup of coffee. Ooh what a lovely cake. Pecan and coffee - two of my favourite things. I really enjoyed my Puro samples, especially the Fuerte. Happy Easter with a Zesty Lemon Easter Cake!